Dress like a true fan of Disney - even in formal attire! 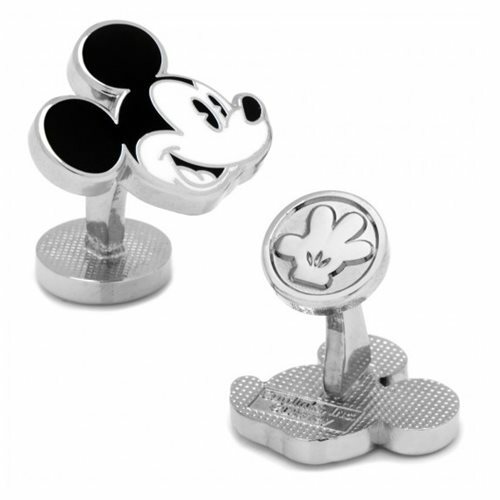 These Vintage Mickey Mouse Head Cufflinks show the portrait of a classic retro iteration of Disney's mousey mascot. You'll be able to let your child loose, even at the most stuffy of events! Includes 2 cufflinks. Each measure 3/4-inch tall and come in a magnetized flap box.